Dirt Racing Products Cool Gray Fin Turnbuckle Sets « Big Squid RC – RC Car and Truck News, Reviews, Videos, and More! 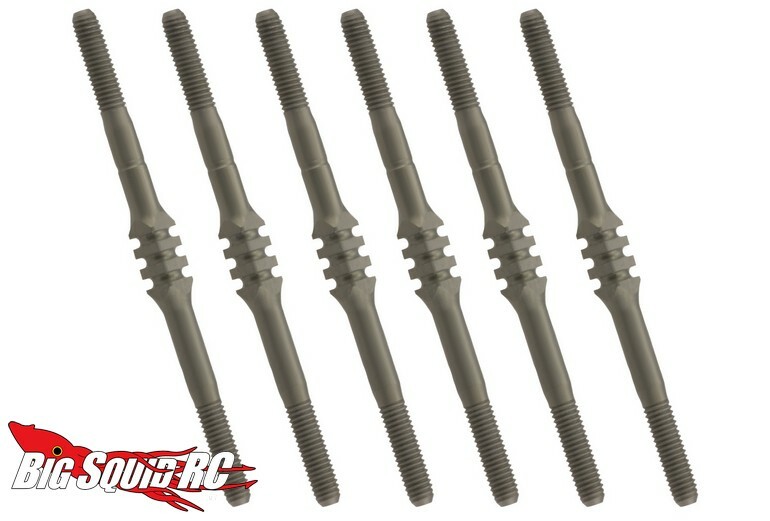 Dirt Racing Products has announced a new titanium turnbuckle set for the Associated B5 that comes in a cool gray color. The cool grey color will set these apart from a crowd and are the latest brainchild from the dirt master himself, Brian Kinwald. These use a standardized 3mm thread base and come conveniently marked for left and right hand threads. The turnbuckles are retail priced at $55, they have a part number of #8006, and more details are available over on the JConcepts Website. Click Here for more Dirt Racing Products news on BigSquidRC.